Aarhus Municipality and CareWare-Next awarded the CareWare-Next prizes, the nationwide competition for welfare technology, on Tuesday November 14th. The prices go to advanced technologies, many of which are considered to have a global future in healthcare. The entrepreneurial prize goes to RetinaLyze, Hellerup. RetinaLyze is eye screening for the prevention of blindness. The screening is performed in 30 seconds and reveals diabetic retinopathy (diabetic eye disease), which is a complication which affects millions of diabetics worldwide. If the disease is discovered in time, it can be treated to avoid blindness. The judges emphasize that RetinaLyze has a solution to the mismatch between the number of ophthalmologists and an pandemically increasing number of diabetic patients. The judges see potential in developing the screening method so that it can be used for several diseases in the future. With 425 million diabetics worldwide, the method has global potential. The idea prize goes to Vulcur MedTech, Vanløse. Vulcur MedTech is a device that will treat chronic wounds with focused laser pulses. New research at Bispebjerg Hospital shows that you can improve the body’s self-repairing properties by destroying the layer of bacteria and viruses that are just below the surface of the wound. The judges focus on the fact that Vulcur MedTech automates and radically renews the way in which chronic wounds are treated. Vulcur MedTech collects data that will allow the development of the wound care area in the future. The product has international potential, the judges assess. The special prize goes to WelfareTrack, Aalborg. WelfareTrack is a sensor mounted on welfare technology products, which enables tracking and collection of data about their use. Data may, for example, document the frequency of use at home at the citizen and the need for service inspection. WelfareTrack records the value creation that millions of investments in municipalities and regions make in these years. And the sensors tell you whether you get value for money when investing in welfare technology, the judges believe. Special Mention: FokusPlan, Aarhus. The judges believe that, Focus Plan is an app under development that deserves special mention. The app is a high-value product created based on everyday needs. Behind FokusPlan is a group of social workers who wish to develop an application for the development of pedagogical action plans. The judges would like to see more of these kinds of products, created by enthusiasts in public employment. 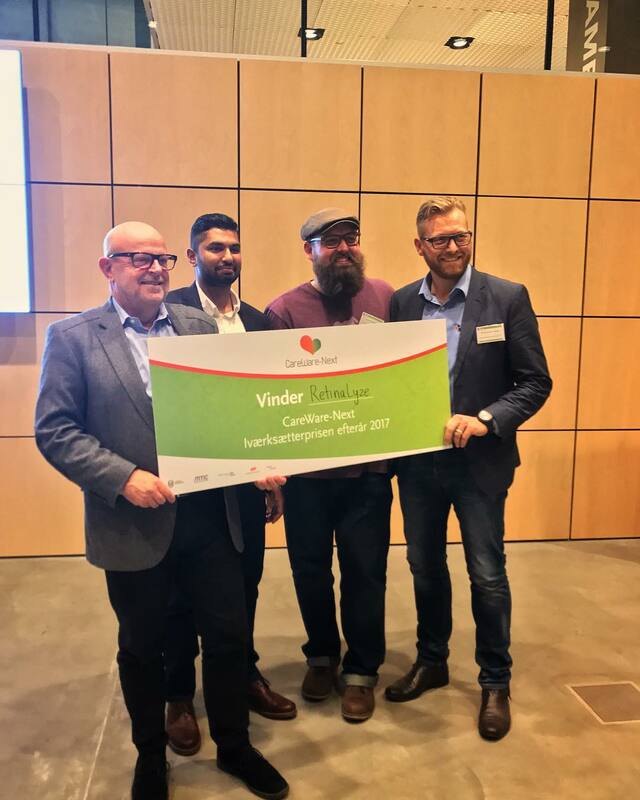 The CareWare-Next competition was held for the sixth time, and the purpose is to positively affect the Danish growth entrepreneurs for health and welfare technology. And it succeeds to a large extent, according to judge of the competition Bo Sejer Frandsen, CEO and IT entrepreneur. “This year, is the first time that we see information technology, artificial intelligence and deep learning used to a great extent in the competition. It is also spectacular that we have two winners this year who have a big global potential,” says Bo Sejer Frandsen. Welfare Technology Manager in Aarhus Municipality, pays special attention to a new type of participants this year, which has a low-tech approach to innovation. “This year we have seen ideas that come from the daily operations in the municipalities. Ideas that come from employees who know where the problems are and manage to turn them into new solutions. We really want to see much more of these ideas in the future,” says Ivan Kjær Lauridsen. Who is RetinaLyze System A/S? RetinaLyze System A/S was founded on the vision of preventing loss of eyesight and visual impairment worldwide. With globally improving life quality and awareness the number of patients needing and requesting eye care is increasing exponentially. To accommodate the need, eye care professionals must utilize faster and more efficient methods of screening, diagnosis and treatment. By automating routine tasks such as screening, RetinaLyze makes screenings more affordable and accessible for the general public. 80% of all blindness in the world can be prevented with early screening and treatment. Early diagnosis is crucial – and possible with RetinaLyze®.